It turns out that I was a bit rash on Friday when (in my review of Autumn Crocus by Dodie Smith) I comforted myself by saying that though the play was not fantastic, it was only her first and her “powers as a playwright developed far beyond this.” Well, to be fair, they did: Dear Octopus is proof of that. Call It A Day, on the other hand, is not. Published in 1936 but first produced in 1935, Call It A Day follows the activities of the five members of the Hilton family over the course of one very long spring day. The opening scene introducing the family is quite enjoyable: Dorothy and Roger Hilton wake up, are greeted by the new maid, banter over the paper, and, eventually, are interrupted by their teenage children, keen to use their parents’ washroom while the eldest daughter monopolizes the shared one. It is a good start to the day and to the play. After that, everything goes downhill rather quickly. The rest of the play tracks the romantic quandaries each member of the family – save Ann, who is only fifteen – face over the course of the day. Martin, the seventeen year old son, is captivated by the beautiful, forward new neighbour. Catherine, the eighteen year old daughter, is hopelessly in love with the married painter who is doing her portrait. And both Roger and Dorothy, for apparently the first time ever, are tempted to break their marriage vows – needing, it must be said, very little persuasion. It would have been impossible to make me like Roger or Dorothy; even in the opening scene they grate a little and things get worse as the play progresses. Martin is fine but so bland that his love scene could have easily been cut (and I do wonder why it wasn’t). I feel very sorry for Catherine – there is no doubt that the painter lead her on, even if she is now the one pursuing him – and the most enjoyable moments of the play are when Ann is trying to comfort her heartbroken elder sister, in her own very Ann-like way: “People often fall in love with someone who’s married. Lots of great people have done it. Perhaps you’re going to be great, though I can’t think what at.” Though the sisters rarely get along (making teenage girls share a room seldom results in peace and harmony) on this one night at least they understand each other perfectly. The sturdy Ann completely understands her sister’s infatuation and heartbreak (“You can’t shock a person whose favourite king is Charles the Second”) and does her best to run interference when their mother appears at bedtime. Though I did enjoy all of Ann’s appearances, the play is a mess. It is cluttered with too many storylines and with characters (namely Roger and Dorothy) whose behaviour is inexplicable. I can’t say this is a play I’d wish to see performed. 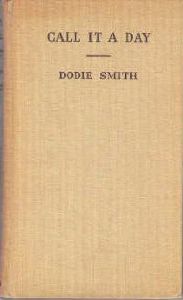 Dodie Smith also wrote the original 101 Dalmatians! Yes, she did! She also wrote one of my very favourite novels, I Capture the Castle. Yes, I wouldn’t worry about tracking this one down if I were you, Simon. And I have to admit that even AAM tried my patience (though in a far more entertaining way) for adultery narratives by returning to them over and over again. 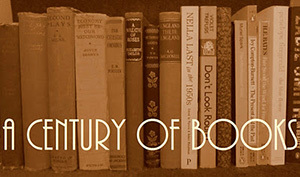 I’ve only read I Capture the Castle and just loved it. Nothing else I’ve read by Smith has come close to matching the charm and brilliance of I Capture the Castle but it is still interesting to sample her other works.